Our Alumni – Where are they now? The Paris study week takes place towards the end of the Winter Term and provides students with an invaluable opportunity to consolidate what they have learned over the two taught terms of the MA in Decorative Arts and Historic Interiors. Students spend one week in Paris exploring the riches of the collections of decorative arts in the Paris museums such as the Louvre, the Musée des Arts Décoratifs, the Musée Jacquemart-André and the Musée Carnavalet. They also have the opportunity to visit some of the hidden delights of Paris. 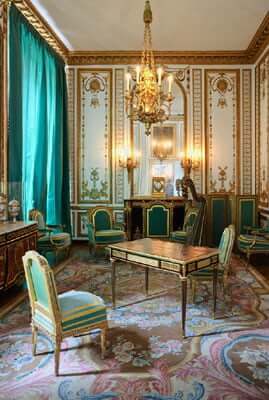 Some of the greatest French interiors of the seventeenth, eighteenth and nineteenth centuries are to be found in banks and embassies and other government buildings not normally accessible to the public. Among those visited in the past have been the former Hôtel de Toulouse (now Banque de France) and the Hôtel de Breteuil (now the German embassy), the Hôtel de Lauzun and the Hôtel Lambert. 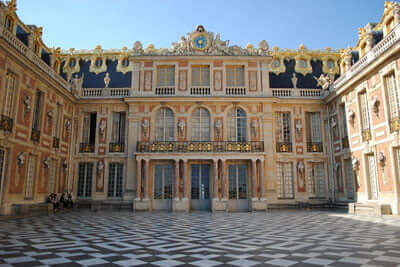 The Paris study week provides a rare opportunity to visit some of these important private houses. The study week also includes visits to châteaux near Paris, including a tour of some of the lesser-known private rooms at Versailles, and a guided visit to the Grand and Petit Trianons. “It is an almost universal truth that when the words ‘Paris’ and ‘springtime’ are linked, eyes mist with the remembrance of happy times. 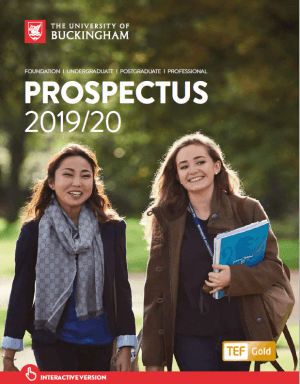 It certainly is the case with the ‘Class of 2011’…even if springtime happens in February in the unremitting rain and the agenda is study and not romance! 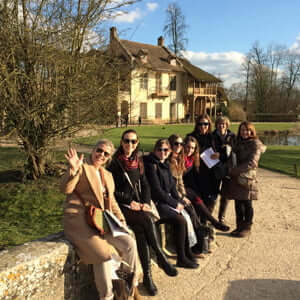 “The Decorative Arts & Historic Interiors study trip to Paris took place from February 20–24; it was, in the familiar vernacular of one of our dear Bavarian class members, ‘Amazing, simply amazing!’. Starting out gently (Sunday is, after all, a day of rest), we visited the delightfully eclectic Musée Carnavalet, the Museum of the History of Paris, grabbed a bite of lunch at a favourite haunt of one of the tutors in the Marais, then hared off to marvel at the tear-provoking (for me, at least) beauty of a particular room of the Hôtel de Soubise and to examine the exterior of the Hôtel de Sully. A few of us found to our cost that if you linger, you are left behind! A bracing pastis (my tipple of choice when in Paris) prepared us to be fêted by our leaders at ‘Au Trou Normand’, specialising in, of course, dishes from Normandy. What my little partridge lacked in tenderness, he made up for in the hilarity he sparked among the diners, who laughed every time he raised a tiny wing in protest at my onslaught! “By Monday, we were becoming scholars, able seriously to ‘get our eyes in’ at gorgeously tranquil Chantilly, especially as the guide was not only informative, but spoke English rather well. (Pastis in Chantilly, if you are interested, is approximately one-fifth its price at ‘Les Deux Magots’ in Paris.) Tuesday and Wednesday we spent at Versailles in the delightful, perfectly bilingual and immensely knowledgeable company of John Whitehead, author and scholar. Track shoes were called for, as we motored through les Grands Appartements, les Petits Appartements, the chapel, le Grand Trianon, le Petit Trianon and Le Hameau (reserved for those who had the strength). Sadly, I have no data on the price of pastis at Versailles; it seemed a much better idea to accompany Christopher Payne and the class to a specialist 19th-century antiques gallery at ‘Le Louvre des Antiquaires’ in Paris, as I likely never shall afford to visit as a client! For enquiries or further information about the programme, please contact London Programme Admissions (tel. 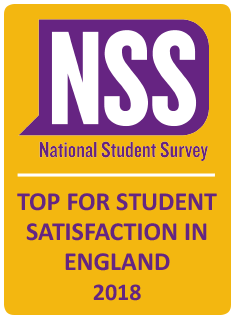 +44 (0)1280 820204, email london-programmes@buckingham.ac.uk).